Rep. Onishi visits Better Choices, Better Health Family Fair 11/9 « Ka'u Rural Health Community Association, Inc.
Representative Richard Onishi stops in and visits with Better Choices Better Health Family Fair on November 9. 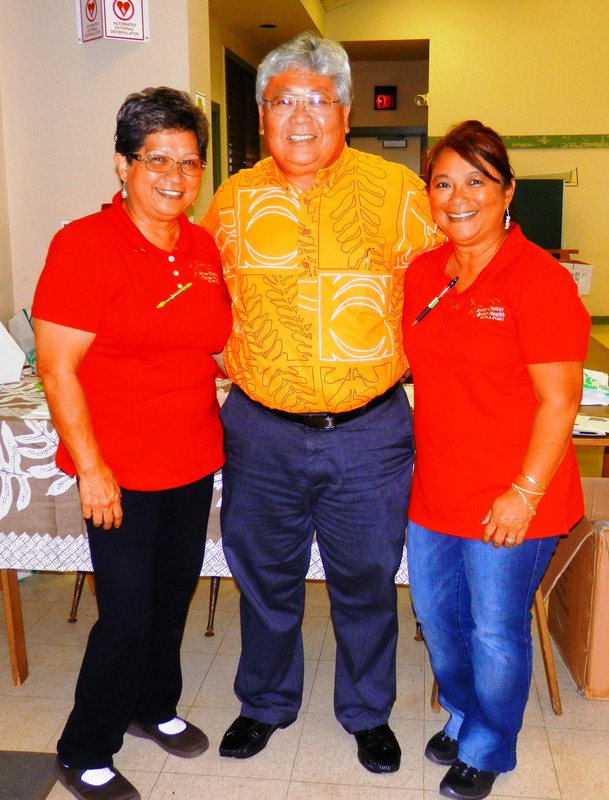 On left, Aunty Jessie, KRHCAI Executive Director, center, Rep. Onishi and right, Donna Kekoa, KRHCAI Board President. Rep. Onishi enjoyed talking to all the organizations and attendees!